This lecture performance will explore the influences of social media upon our everyday communications and self-identities. Interweaving slides, speech, video clips and music, Max Grau will unfold a series of interactions with his ‘avatar’, inhabited on Snapchat. What types of experience does the digital presentation of art offer to the audience? Can a ‘one-on-one’ relationship between a viewer and an art piece, streamed to a digital device, be described as more ‘intimate’ than the collective experience of a live performance? These questions will be linked to a broader examination of the way virtuality – mostly in the form of social media – has shaped the everyday experience that frames the way we think about, talk about, produce and encounter art. 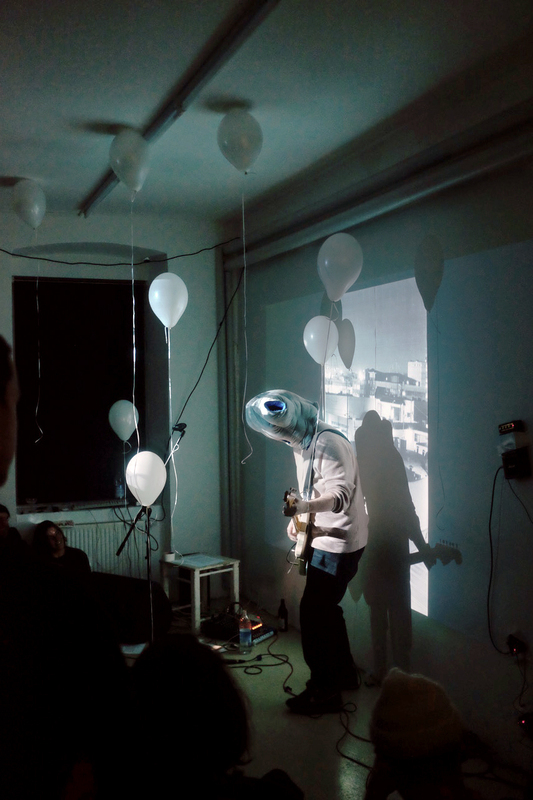 The form of this performance incorporates both the immediacy, improvisation and awkwardness of live performances; and the technique of digital image making such as image editing, filtering, photoshopping. Going beyond a critique of social media, Max aims to identify a potential space for art creation confronting with the blurred boundary between our life on social media and in ‘real’ conditions. Max Grau lives and works in Berlin. His work incorporates a variety of media such as video, text, email, performance, photography, sound and printed matter. Grau’s work examines the politics of friendship, contemporary modes of communication and the emotional texture of everyday life. In this project, he will conduct a lecture performance to embody a narrative around digital connectivity and intimacy as a reflection of the increasingly blurred boundary between the private and public space occurs in online communication. For the Time Being is curated by six postgraduate students seeking to explore the shifting responsibilities of institutions in this networked age, as part of the MA Curating Contemporary Art Programme Graduate Projects 2019 at Royal College of Art, London. The exhibition is produced in collaboration with The Photographers’ Gallery. Curated by Rachel Chiodo, Sitara Chowfla, Hang Li, Esther Moerdler, Carlos Pinto and Caroline Roselló.